Our Jigsaw Puzzles feature Historic, Sporting, Nature Nautical themes. 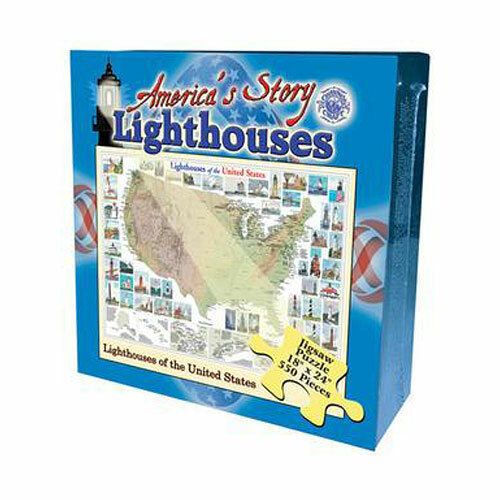 Every lighthouse in the U.S. is included with the more prominent ones pictured. 18 x 24 inches completed, 550 pieces. Brand: Channel Craft & Dist.